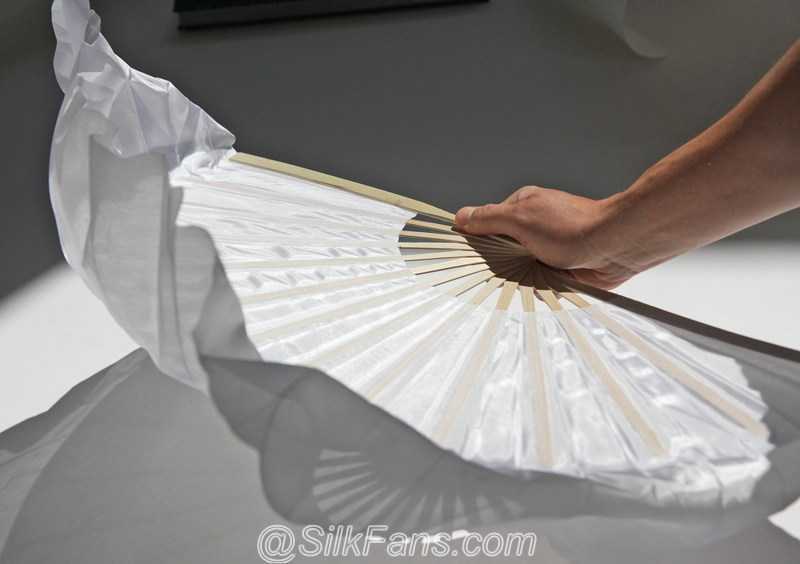 Hand made fans for dancing, made in Vietnam Fan is silk covered both sides. 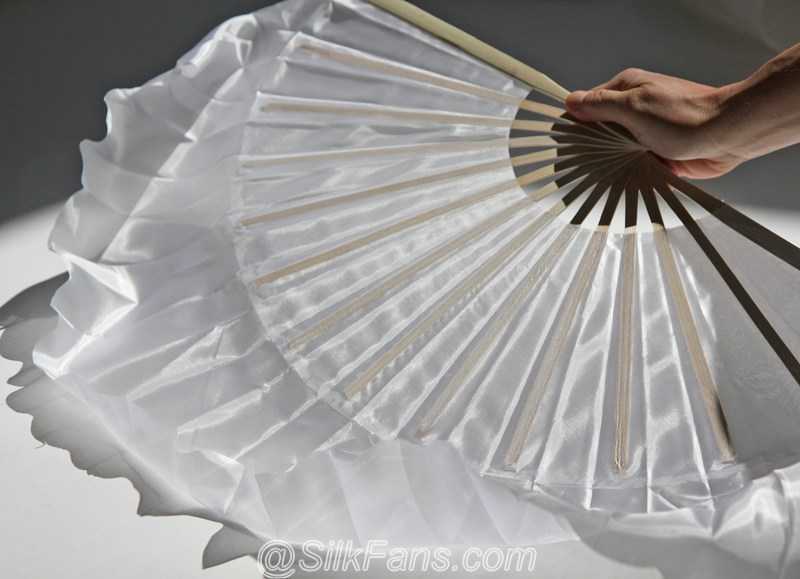 Great for dancing and other celebrations! 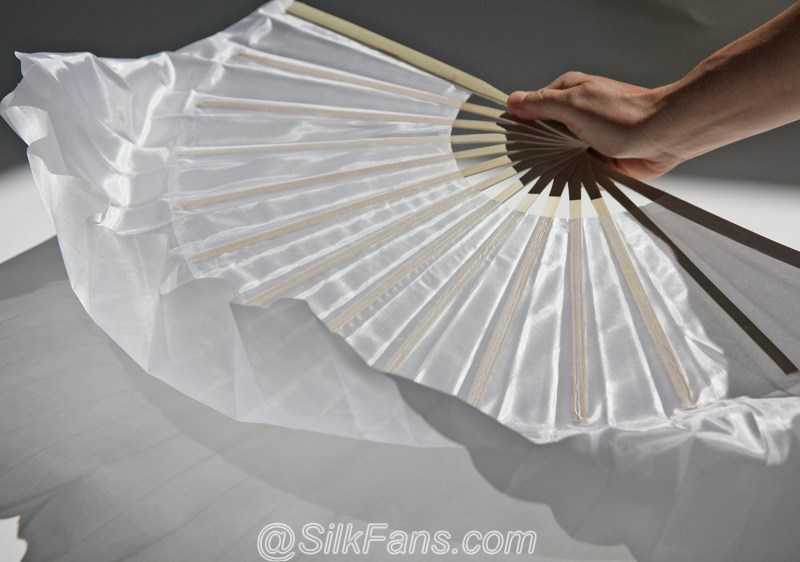 Material: bamboo and silk Fan size: 19"x 36" Color: Soft White without glitter decoration Bamboo stave is 13" high plus 6" extra silk top Total high from the bottom to the top of the silk is 19"